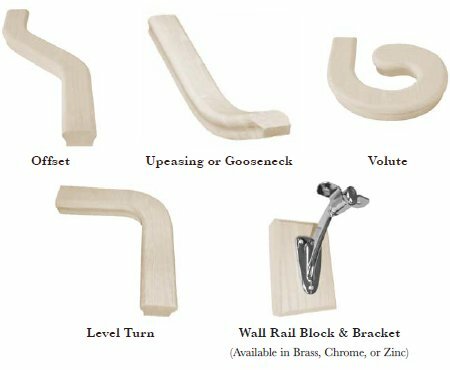 Select any of our unique railing styles to suit your personal taste. 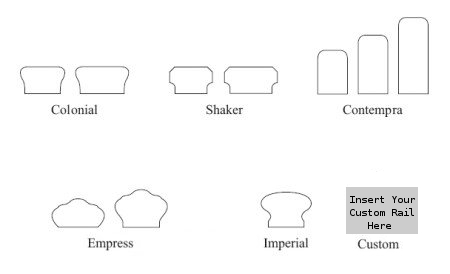 We offer a variety of choices, from standard builder styles to your choice of size, profile and material upgrades. The portion of the balustrade system that sits on top of the balusters and is anchored to and supported by the newel. The parts of the handrail system used to form a smooth transition when the handrail changes height or direction (e.g. volutes turnouts, upeasings, goosenecks). 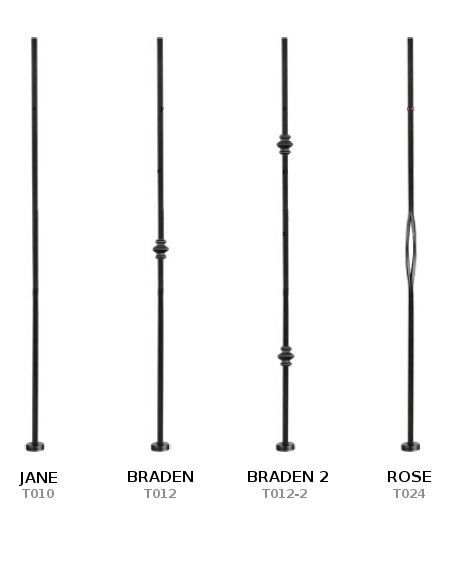 The larger support posts of the balustrade system. Usually located at the bottom and the top of the staircase and at turns or critical support areas of the balcony handrail. 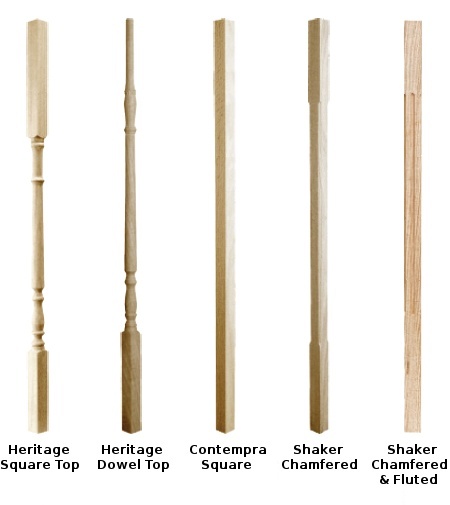 We offer a variety of balusters, from our standard builder styles to upgrades in size, profile, and materials. 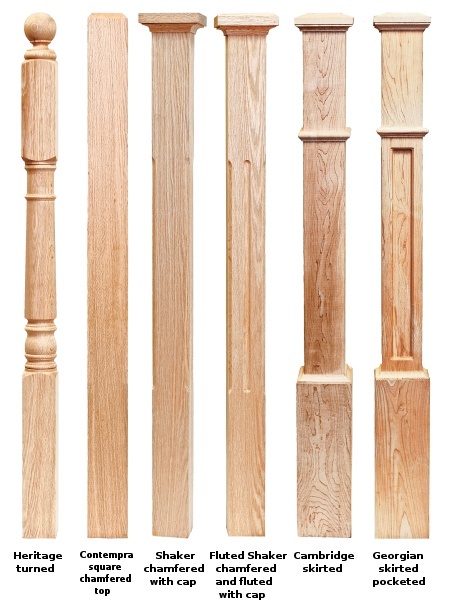 Note: Balusters are available in two standard sizes: 1 5/16" or 1 3/4"